The Scarborough OAT date is presented by Cuffe and Taylor. 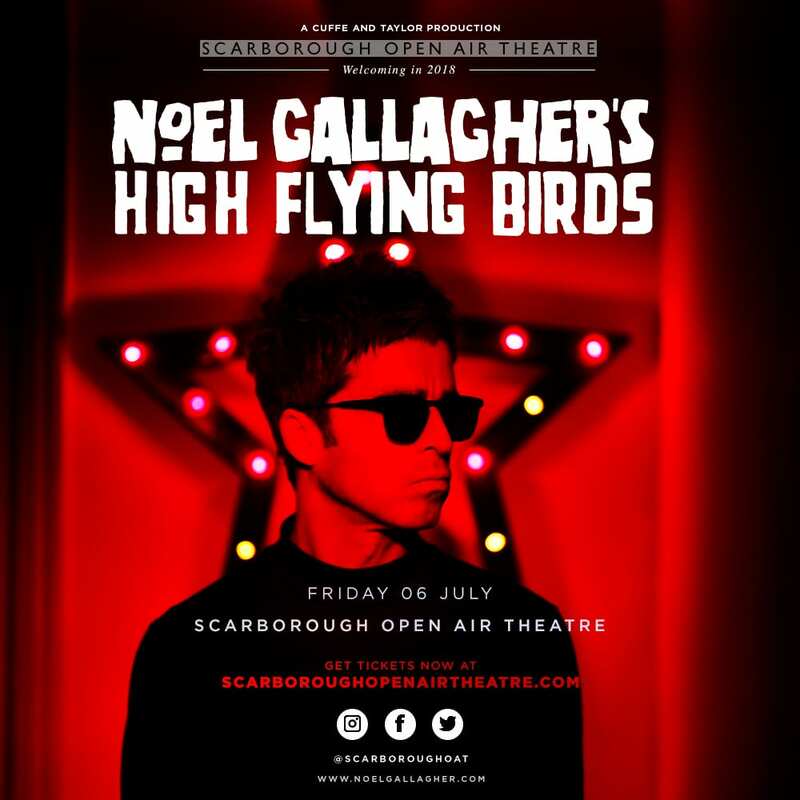 Director Peter Taylor said: “We are thrilled Noel Gallagher’s High Flying Birds are heading back to Scarborough Open Air Theatre this summer. Noel’s show here in 2016 was amazing and this is quite simply going to be one of the highlights of 2018. Tickets for Noel Gallagher’s High Flying Birds at Scarborough Open Air Theatre show on sale at 9am on Wednesday February 21 via www.scarboroughopenairtheatre.com or in person from Scarborough Open Air Theatre Box Office (01723 818111) and the Discover Yorkshire Coast Tourism Bureau (01723 383636).